This was my first Rocky Mountain Audio Fest in three years, as well as my first gander at the venerable Marriott Denver Tech Center following its much-needed facelift. Ironically, as it turns out, even a multi-million-dollar renovation couldn’t hold on to RMAF. Next year, the show is off to a sparkling new venue at the Gaylord Rockies Resort in nearby Aurora, CO. Now this place not only looks spectacular but word has it that sonically the rooms easily surpass those at the old DTC (which doesn’t set an especially high bar, I’m afraid). My beat was electronics under $15,000. But one particular segment was a standout and seems to be increasing in momentum with every show I attend—the preamp/DAC, often streaming enabled, app-equipped, and available in some cases comes with headphone inputs and even phonostages. They can be partnered with a traditional stereo amp or monoblock but going forward they may be ideally suited for powered or active speakers, and personal listening. They are quietly becoming the sort of gateway component that can grow along with an owner’s tastes and budget. Whether this turns out to be a leading trend remains to be seen. Nonetheless there are some new power players on deck at some very affordable prices. Here they are! As if to make my point, one of my first stops was MoFi Distribution’s room where I encountered the new Primare Pre35 Prisma ($4495), a fully balanced streaming preamplifier and DAC (AKM AK4497) driving Manger s1 active loudspeakers assisted by MoFi’s new turntable, and Isotek conditioning. The Pre35 is essentially a fully balanced differential version of the preamp and features dual XLR inputs and outputs, and modular construction allowing for DAC and Prisma network modules to be added at any time. On tap is multi-room/multi-zone connectivity and control for playback of stored and streamed media, wired or wireless, all managed from a mobile device through a dedicated control app. In addition to Bluetooth, AirPlay, and Spotify Connect, Prisma has Chromecast built-in, allowing easy direct connection to hundreds of streaming applications including Roon. A veritable riot of inputs includes four TosLink, three RCA (SPDIF), and one USB-B digital—the latter allowing playback of files up to PCM 768kHz/32-bit and DSD256/11.2MHz. One RCA digital output is included, allowing for pass through of digital signals and the option to select 48/96kHz digital output from analog sources. Alchemy’s second-generation components might be the sensation of the season. The Alchemy DDP-2 ($2495) combines three components in one within a single elegant and svelte chassis. The bundle includes Alchemy’s highest-quality digital-to-analog converter, preamp, and digital streamer combined in a single chassis that measures a pancake-thin 1.75” high. The preamplifier offers flexibility, including custom selectable DSP filter profiles, DSD up to 4X, configurable upsampling to 384kHz, plus a high-efficiency switching power supply for digital stages, and a digitally controlled analog volume control. It’s also MQA-capable, and offers Discovery, Spotify Connect, Bluetooth, AirPlay, and is a Roon endpoint. Connectivity is superb with six digital inputs including USB plus HDMI, two analog inputs (single-ended or balanced). The DPA-2 amp ($1500) uses a pure analog input stage, a linear power supply, and a Class D output stage generating a stump-pulling 325Wpc into 4 ohms or 650W as a monoblock. As I listened to the DDP-2 driving the Elac Navis compact $4000, I was struck by the rich and robust piano reproduction and stunning dynamics. Analog enthusiasts will also be encouraged to complete this hat-trick by adding the sweet PPA-2 phono pre ($1000). Whenever I enter a Mark Levinson room I’m never quite sure what I’m going to see. Frankly it’s always something of an event (and a relief) when a Mark Levinson product debuts. But this time I struck pay dirt in two flavors: The new No. 5805 ($8500) and No. 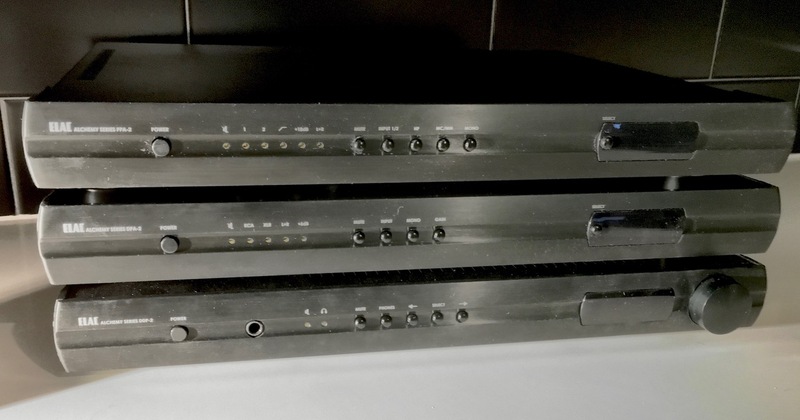 5802 ($7000) integrated amps both house powerful and identical amp sections worth 125Wpc (8 ohms) doubling to 250Wpc, and the same basic feature set as the 585.5 “super” integrated, but the 5805 goes all-in with the full analog array that includes phono with front-panel gain adjustment and rear-panel loading. While the 5802 aims for cutting-edge techies with an all-digital section including a new DAC board (six inputs plus AES), both house a Class A balanced headphone output. Build-quality is, as expected, robust with one-inch-thick front panels. They’re configurable through the ML web page and are due in market first quarter of 2019. Look for a new player to join the line next year, too. Partnered with the marvelous Revel PerformaBe F228Be floorstanding loudspeaker and ML’s No. 519 player, the system exemplified rock-level output and dynamics galore. This is what it’s all about in 2018—a quality preamplifier, DAC, and BluOS streamer all-in-one. The NAD C 658 ($1499) integrates these technologies plus Bluetooth aptX HD, Dirac Live Room Correction, and NAD’s noteworthy Modular Design Construction (MDC). 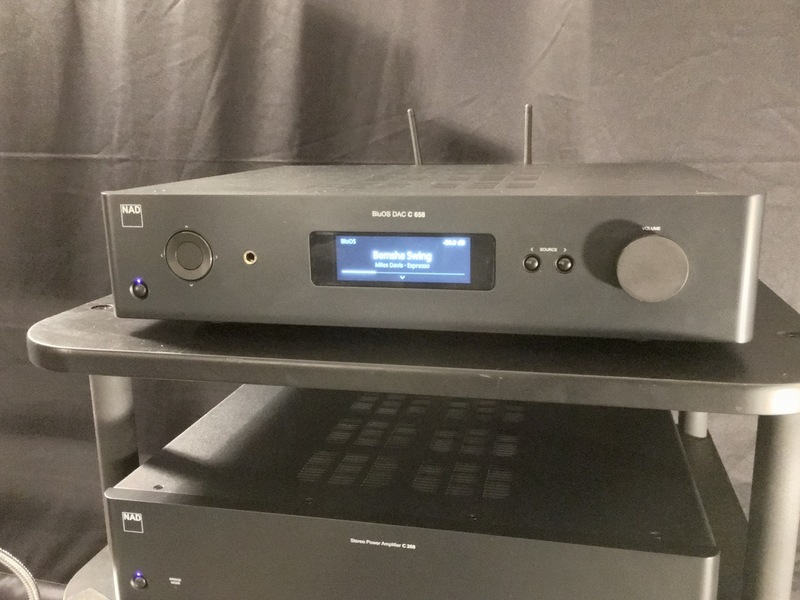 Since the C 658 is BluOS-enabled it natively supports nearly 20 streaming music services and indexing of over 250,000 tracks from local network sources. On the future-proofing side, MDC, a unique and innovative architecture exclusive to NAD, means digital audio and video circuits are on replaceable modules so that all major digital circuits can be upgraded and replaced to keep the unit forever young and capable. (We should be so lucky.) Two MDC slots are provided. Versatility is key, and the C 658 offers the smooth sonics of the ESS Saber DAC with MQA decoding available on all digital inputs. 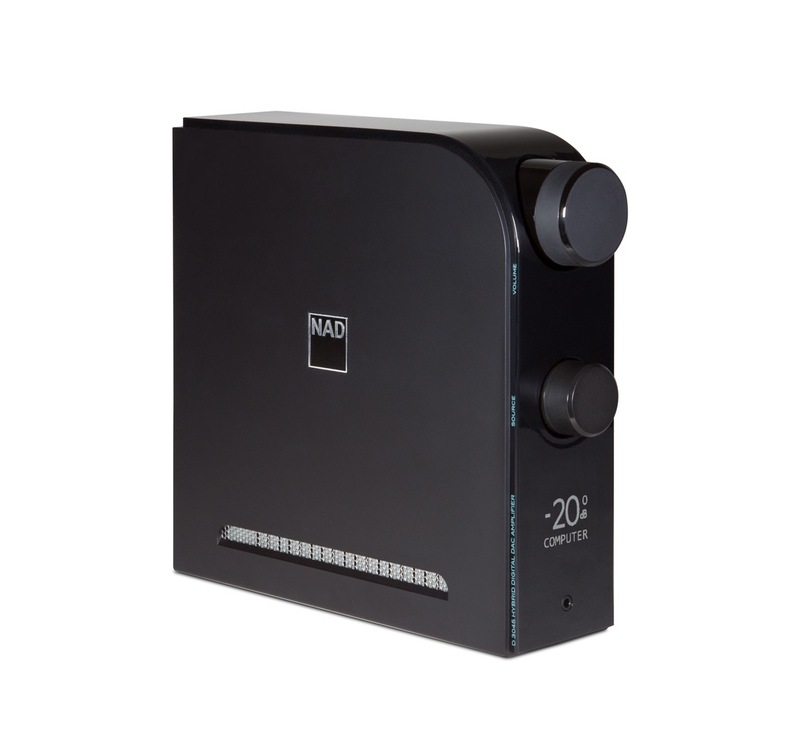 A quality MM phono input will keep vinyl enthusiasts at bay. Finally, there’s a balanced preamp output, stereo subwoofer outputs, and a high-current and dedicated headphone amp. As usual, a little something for everyone from NAD. Krell partnered its new K-300i ($7000; $8000 with digital board option) with the excellent speakers from Alta Audio, Acoustic Signature turntable, ’arm, cartridge, and phono pre-amp, and cables from Anti Cables. And it only took Dean Martin launching into another chorus of “Blue Moon” to demo that Krell’s latest could be a stand-out. The K-300i incorporates a newly developed amplifier circuit design with Krell iBias technology that delivers 150Wpc into 8 ohms and 300Wpc into 4 Ohms. This tech is said to provide the sonic benefits of Class A operation without the excessive heat and power consumption of traditional Class A designs. 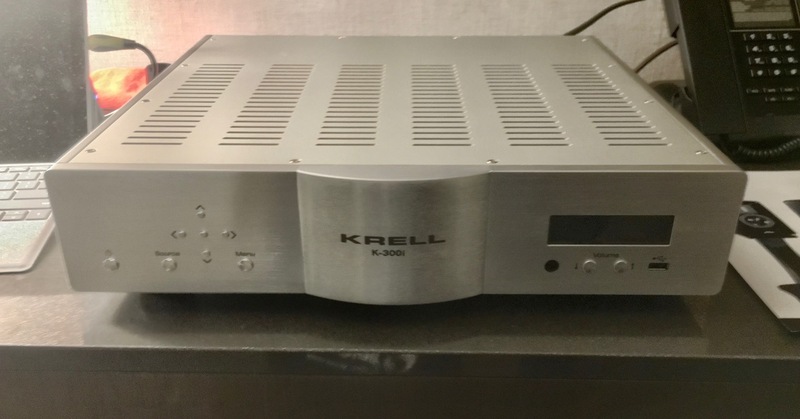 The power supply befits the Krell tradition with a beefy 771VA transformer with 80,000µF of capacitance and Krell Current Mode topology is employed with fully differential circuitry that runs from the input stage through to the last output gain stage. If you have another grand, you might go for the digital option which turns the unit into a top-notch DAC and a network streaming renderer with an ESS Sabre Pro DAC; it’s Roon-ready, MQA-compliant, and also handles Tidal, Qobuz, Deezer, and BT. The K300i also offers features that make it perfect for custom installation, and has an internal web server that is optimized for tablets. Inputs include three stereo RCA and two stereo balanced XLR. I reviewed the Exposure 3010S2D a couple years ago and it instantly became a favorite. 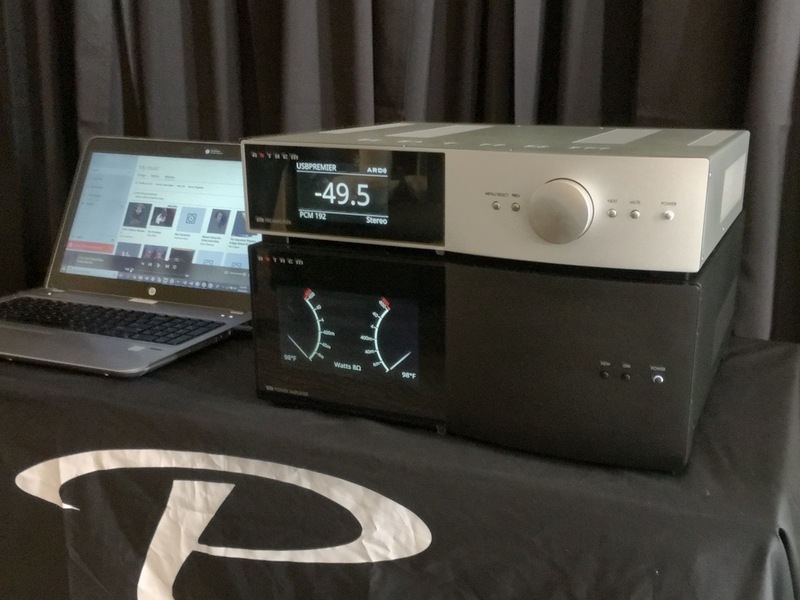 Now thanks to importer Fidelis Music Systems, Exposure Electronics, known for classic preamp and amplifier with old-school values, returns to competitiveness in the U.S. market. It announced that its already aggressively priced preamps, amps, CD players, and DACs have recently seen price reductions. At the same time, the company announced the addition of its top-line 5010 Series with a monoblock amp ($6595/pr.) and preamp/DAC ($2795). The pre sports six line inputs and, with the addition of an optional PCB, is configurable as an MM/MC phono or a DAC option. The former boasts 200Wpc, nearly doubling that figure at 370W into 4 ohms. With an 800W transformer in its power supply and 20,000uF of storage capacitance I have high hopes for these when I review them in 2019. Partnered with Stenheim speakers, Acoustic Signature for analog, and Aurender for digital, this was an excellent and musical presentation. 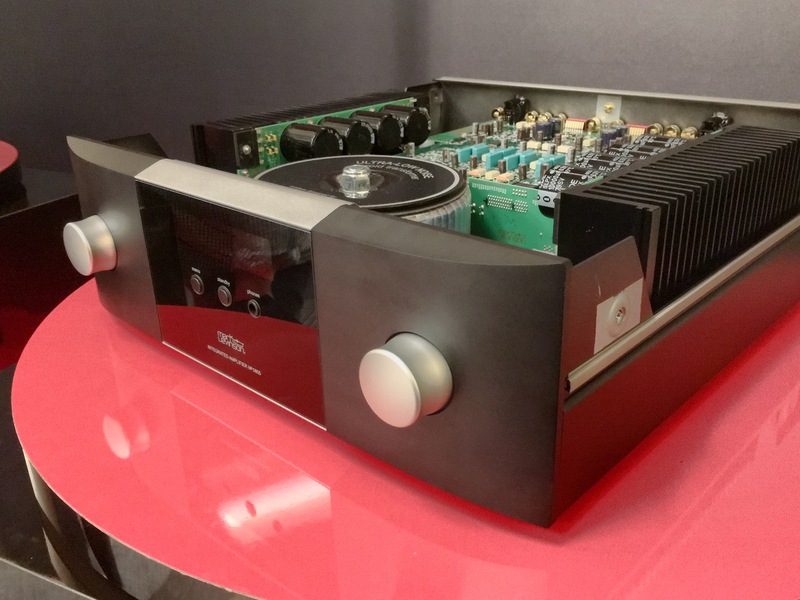 RMAF supplied my first look at Anthem’s handsome STR Series which includes the STR Preamplifier ($4000) and a stereo STR Power Amplifier ($6000), rated at 400Wpc into 8 ohms and 600 into 4 ohms. The sweet-spot for the space-challenged enthusiast is staked out by the chunky (but not clunky) STR Integrated ($4500) which uses eight bipolars per channel for a 200Wpc output. Like the preamp, it’s outfitted with MM/MC phono input, an analog direct mode and outstanding upsampling DAC, USB-capable of 24-bit/384kHz and up to DSD 5.6MHz. Additionally, there’s on-board Anthem room correction and customizable bass management for mono or stereo subs. Available in stunning two-tone silver with bold, black graphic displays or stealthy all black. Paired with stablemate Paradigm Premier loudspeakers and Clarus cabling, music from jazz artist and audiophile chanteuse Holly Cole was ever more sultry and steamy. Not your Dad’s 3020, the NAD D 3045 ($699) takes the sweet D 3020 and maxes out the feature set with a hefty 60Wpc hybrid digital amplifier, capable of driving more difficult loads, asynchronous USB 24/192 input, and support for MQA and DSD—plus Bluetooth powered by aptX HD and (gasp) a high-quality moving-magnet phonostage for vinyl enthusiasts. As the D 3045 offers the same clever form factor employed on the popular D 3020, owners can choose between horizontal or vertical orientation for this package. NAD’s expertise in both digital and analog engineering is clearly evident in this high-performance, flexible yet affordable amplifier. In addition to BluOS streaming content, MQA decoding is available on all digital inputs. 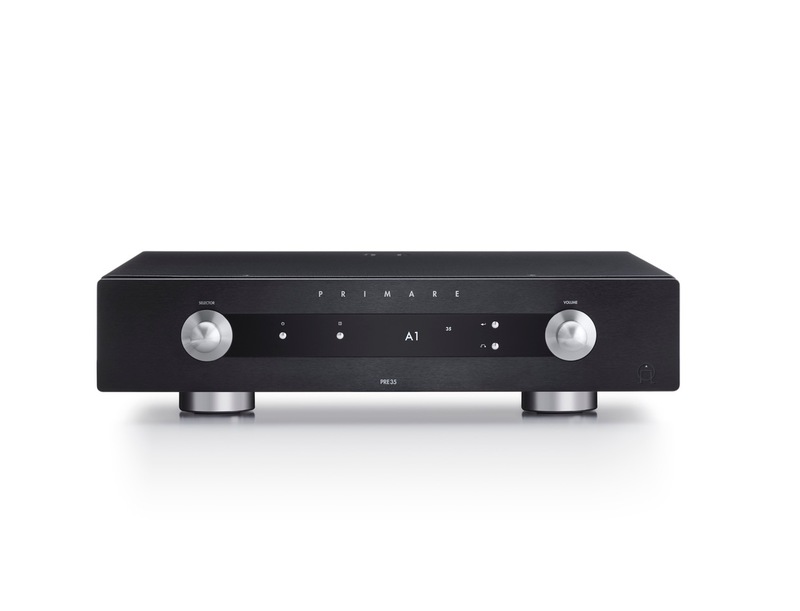 Both preamp and subwoofer outputs are included for additional connection flexibility. Icing on the cake is the premium-quality headphone jack on the front panel. Another entrant in the all-in-one minus the amplifier sweeps is the Moon 390 network player/preamplifier ($5300). Boasting a DAC (the ESS DAC Pro shipset), preamplifier, and network streaming capability, the Moon 390 is a truly flexible music system. Plus, it offers balanced inputs and outputs, phonostage, and a 500mV headphone amp, so who am I to argue? Simply connect it to a power amplifier or go directly into an active loudspeaker system. The Moon 390 is also equipped to deliver high-resolution streaming through music services such as Tidal, Qobuz, and Deezer. Further the DAC architecture supports PCM (up to 32-bit/384kHz), DSD (up to DSD256), and is MQA-certified. Roon ready? Natch, and there’s Bluetooth aptX HD connectivity. Standard equipment is the new MiND2 module (Moon intelligent Network Device) for organizing and streaming. The module allows the playback of the most music file formats, including DSD and MQA (via local files and Tidal Master files). The 390 also boasts a USB host port, permitting access to music on USB thumb drives. Lastly, MiND 2 will also stream any digital or analog input of the 390 to other MiND zones on the same network. Build-quality is up to the high standards I’ve come to expect from Moon products. Available in a black, two-tone, or silver finish, it’s backed with a whopping ten-year warranty. Nordost has expanded its Blue Heaven range with the introduction of a subwoofer cable. It consists of four, 22 AWG, solid-core, silver-plated, 99.9999% OFC signal conductors. Its dielectric strength is improved by an innovative precision FEP extrusion process, which further increases signal speeds and accuracy in signal transfer. The conductors are then covered in a braided shield, addressing any EMI and RFI. Additionally, it utilizes a unique flat, parallel construction. Available in three configs: Straight, Y, and Y-to-Y; all can be terminated with gold-plated MoonGlo RCA or XLR connectors. Price: $349/2m; additional meter increments for $75. Meanwhile, Kentucky-based Morrow Audio has been honing its SSI technology throughout its line. Rather than using silver-coated copper wire, only solid-copper wire is now used for each strand. Morrow has also improved the dielectric and added more runs of wire with progressively smaller gauge individual wire, depending on model type. Crucially even with these improvements, there’s no price change. Kimber Kable is finalizing Carbon, a new midline cable series using a carbon-infused dielectric material. Pricing is still to be announced but it will land squarely in affordable territory, a shade higher than entry level TC models. AudioQuest stirred the pot with the introduction of its top-tier, Mythical Creatures series—ThunderBird, FireBird, and Dragon. AudioQuest’s founder, William Low, and Director of Power Products, Garth Powell—led the team and focused on one of the most critical issues in speaker cable design: the mismatch between the amplifier’s source impedance and the speaker’s load impedance. They noted that previous attempts needed improving because a speaker’s impedance changes with frequency, while the amplifier’s output impedance is something else altogether. “By eliminating the Mythical Creatures speaker cable’s characteristic impedance, current compression and distortion of the signal (current) transient is significantly reduced.” Mythical Creatures speaker cables can be configured as full-range (ZERO) cables, or, bass (BASS) cables Or, a ZERO cable can be combined with a BASS cable to create a BiWire cable. Schiit Audio will be shipping the Aegir amplifier (est. $799). With 10W of Class A bias, it’s stated to be the first “continuity” speaker amplifier with 20Wpc into 8 ohms and 40Wpc into 4 ohms. Schiit says, “The new technology allows extending linear performance outside of the Class A region.” It comes equipped with RCA inputs for stereo or a single XLR for mono operation. Lumin, known for its superb music players (I count the Lumin S1 as my reference media player) has filled a crucial gap in its lineup by deploying The Amp (est. $13,999). The dual mono, Class AB, no-global-feedback unit sports 160Wpc (doubles into 4 ohms) and offers bridged mono operation as well. Its CNC-aluminum form factor follows the maker’s media players for a handsome and stackable combination. They exhibited with France’s fine Esprit cabling. Nice to see the Jeff Rowland Design Group hit a couple affordable price targets with its new switchable HA 60 60Wpc ($4000) that was piggybacked with the fine Capri+ ($7800). MSB Reference Series digital playback and M204 monoblocks, Magico M3 loudspeakers, and AudioQuest Dragon cabling. I’ve never heard Magico sing this sweetly from a digital rig. The Mark Levinson No. 5805 and No. 5802 integrated amps. It’s always a great show when new ML products debut. More affordable fully-featured preamp/DAC for an “active” world. I don’t think of myself as a digital guy, but the MSB Ref Series digital seps (starting at $84,500) produces sound so sweet I’m starting to dream in ones and zeros.